The U.S. Supreme Court recently granted certiorari for two patent cases, Halo Electronics, Inc. v. Pulse Electronics, Inc. and Stryker Corp. v. Zimmer, to decide whether to relax the standard that determines if a district court can award treble damages to a patentee after a finding of infringement. The legal authority for whether treble damages should be awarded is set forth in 35 § USC 284, which gives the district courts broad discretion to “increase the damages up to three times the amount found or assessed.” To clarify the rule, the Federal Circuit’s In re Seagate decision in 2007 set forth a two-part test, requiring the patentee to show that the infringer: (1) acted despite an objectively high risk of infringement, and (2) knew, or should have known, the risk of infringement. By granting cert, the Supreme Court will review this objective/subjective two-part test to determine its appropriateness. The legal controversy in this issue stems from two 2014 Supreme Court decisions, Highmark, Inc. v. Allcare Health Mgmt. Sys., Inc. and Octane Fitness, LLC. V. ICON Health & Fitness, Inc., which dealt with a similar two-part test created by the Federal Circuit in Brooks Furniture dealing with reasonable attorney fees. The statute at issue in those cases, 35 USC § 285, allows a court “in exceptional cases [to] award reasonable attorney fees” and, more importantly, is analogous in many ways to § 284. Most notably, the two-part test for both statutes was predicated on the same Supreme Court decision, Professional Real Estate Investors, Inc. v. Columbia Pictures Industries, Inc. (“PRE”). In Octane Fitness, the Supreme Court rejected the Federal Circuit’s § 285 reliance on PRE and held that an “exceptional” case is simply one that stands out, considering the totality of the circumstances. The Highmark decision, handed down the same day in 2014, rejected the de novo standard of review of a § 285 fee award, instead relying on an abuse of discretion standard. Given the similarity between §§ 284 and 285, and the Federal Circuit’s analogous two-part objective/subjective tests under Seagate, it is not surprising that the Supreme Court granted cert. Interestingly, the Federal Circuit had previously denied a petition by Halo to rehear the case en banc. A concurrence written by Judge Taranto stated that the Octane Fitness decision did not affect the objective recklessness requirement, but did argue that many aspects of § 284 do need revisiting in light of recent Supreme Court precedent. Judge O’Malley authored a dissent in that petition, arguing that the willfulness jurisprudence should be reevaluated. 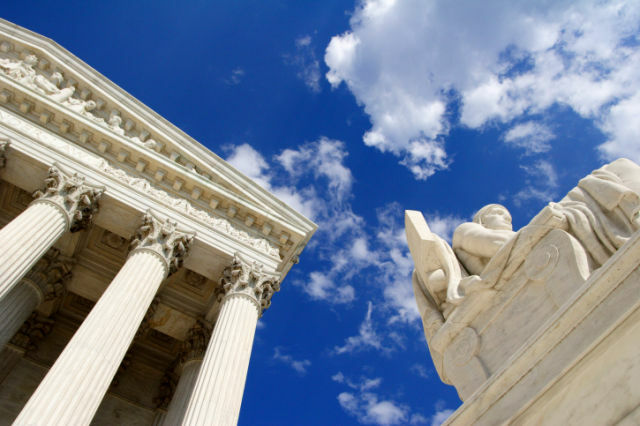 Oral arguments for the combined two cases, Halo Electronics, Inc. v. Pulse Electronics, Inc. and Stryker Corp. v. Zimmer, will be held in an expanded one-hour session in the Supreme Court’s upcoming term.